The following is a sample PowerShell script illustrating how to invoke a ServicePanel action form via the REST interface. This sample assumes an on-premise Active Directory authenticated environment. 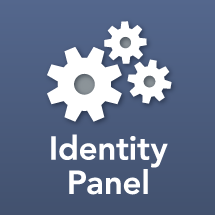 Invoking a SaaS instance requires either obtaining an OAuth token, or using the Panel Client library to obtain an authentication header. The following sample invokes a form called "CreateEmployee". In a typical setup this form would then trigger an insertion into the MIM Portal or a SQL table feeding into MIM or AD Connect.